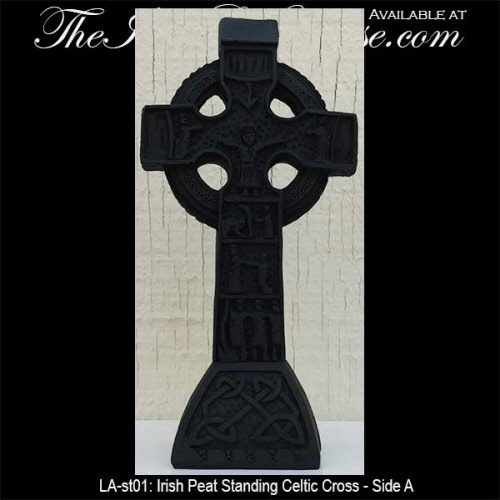 This standing Celtic cross is carved from Irish peat and features a design that is similar to the Muiredach High Cross located at Monasterboice, Ireland that includes Celtic knots. 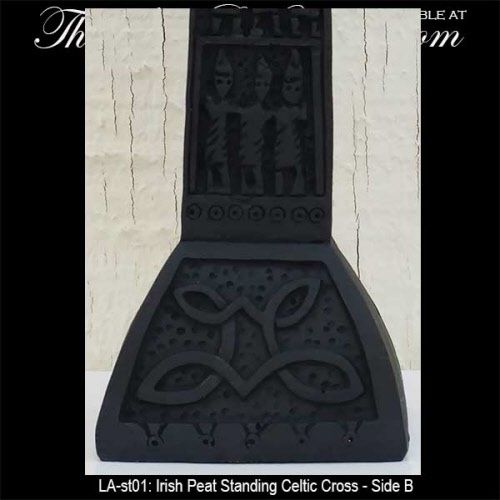 The double sided turf cross measures 3 1/8" wide x 6 5/8" tall with a width of 1 3/4" wide at the base and it is gift boxed with Celtic knot, Celtic cross and Irish turf history cards, complements of The Irish Gift House. 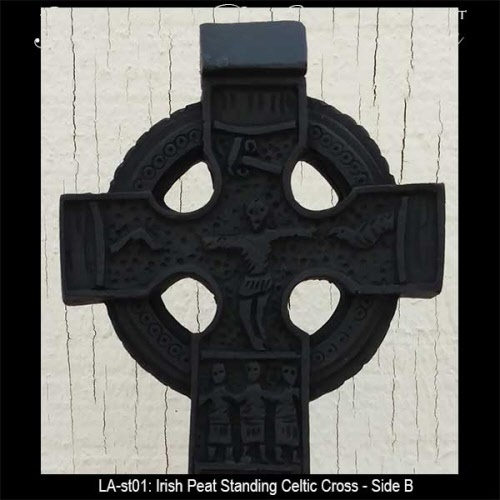 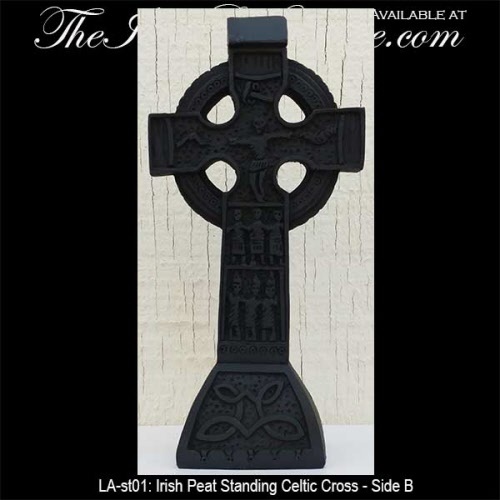 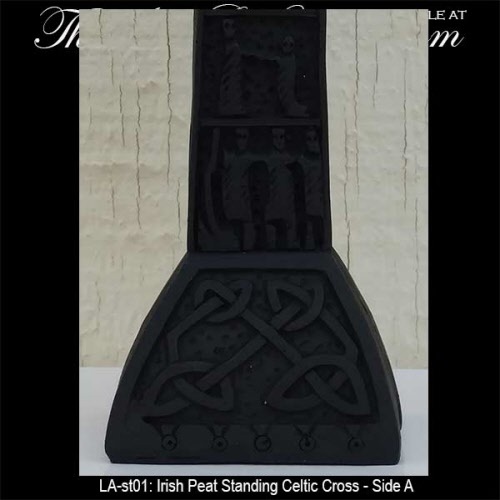 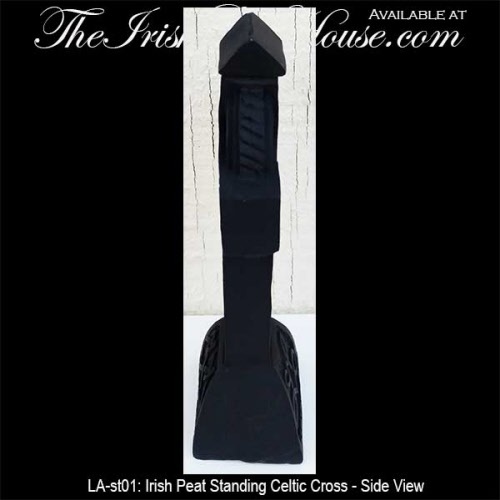 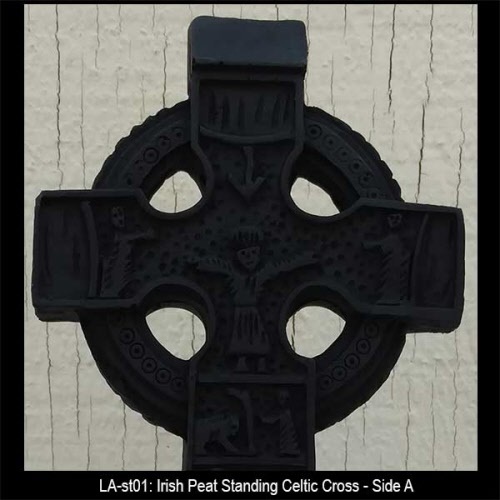 This standing Irish peat cross is made in Ireland by Liffey Artefacts.